There’s nothing worse than dreading your time with a hair brush. Watching your hair get thinner by the day is one of the worst feelings in the world. However, there are a number of effective products that promise to curb the problem and restore your hair’s volume. Garlic Shampoo is one such product. 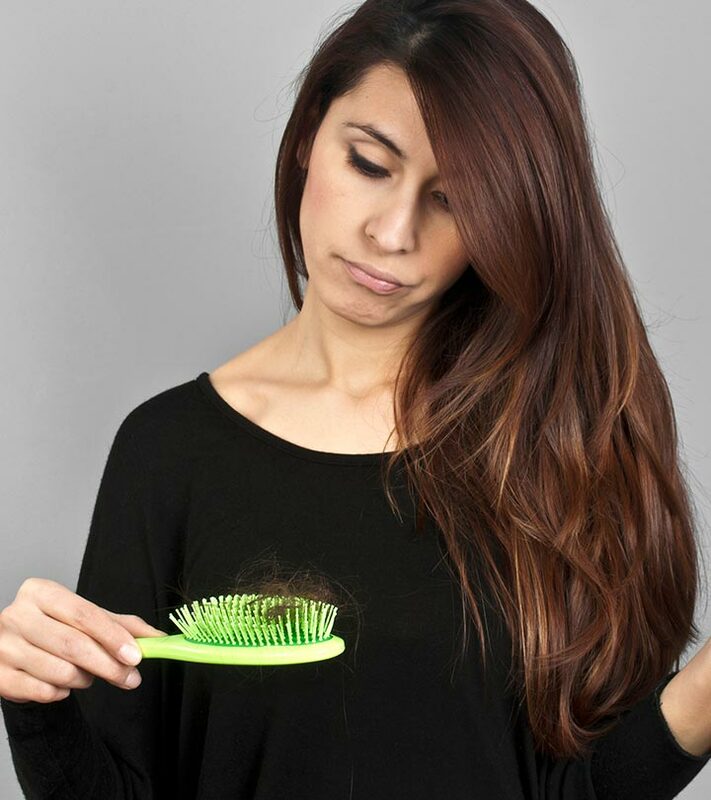 Not only is it super effective against hair loss, but it can also be made at home. Keep reading to find out how you can make garlic shampoo to control hair fall, and know more about the different commercially available garlic shampoos in the market. But first, let’s talk about how garlic helps curb hair fall and boost hair growth. Garlic has antibiotic properties which help curb hair fall caused by bacteria. These properties help aid your scalp in putting an end to the problem, restoring the thickness of your hair. It also helps stimulate the dormant follicles on your scalp, restoring volume. Garlic helps restore health to hair that has been through a lot of chemical and heat damage. It also helps cure dryness and soothes an itchy scalp. A healthy scalp is much better at supporting strong hair roots and preventing hair fall. Garlic helps reduce hair breakage by strengthening the hair shaft. This prevents hair thinning to a great extent and also minimizes split-ends. Garlic stimulates the circulation of blood to your scalp. This helps flush out the toxins from your follicles while also keeping them nourished and healthy. The healthy follicles are better equipped for producing healthy and strong hair. They also fight off damage more efficiently. Now that you know just how great garlic can be for your hair, let’s get into how you can go about using it as shampoo. How To Make Garlic Shampoo? Peel the garlic cloves and wash them until they are clean. Blend the cloves until you get a smooth paste. To the paste, add some water and blend it for a while longer so that the paste is a bit creamy. To the garlic paste, add one teaspoon of olive oil and a couple of drops of peppermint and tea tree oil each. Add this mixture to your shampoo and mix well. Store the shampoo in an air-tight bottle. Use this garlic shampoo in place of your regular shampoo. Garlic offers your hair and scalp innumerable benefits. Using it in your shampoo will not only curb hair fall, but it is also an efficient way of using the ingredient to boost hair growth and improve hair health. The olive and essential oil content in the remedy helps impart shine and moisture to your hair while also covering up the odor of the garlic. For those who prefer getting their shampoos at the store, I’ve put together a list of 5 garlic shampoos that help curb hair fall. You do not have to worry about the smell with these shampoos as they generally contain aged and deodorized garlic extract. 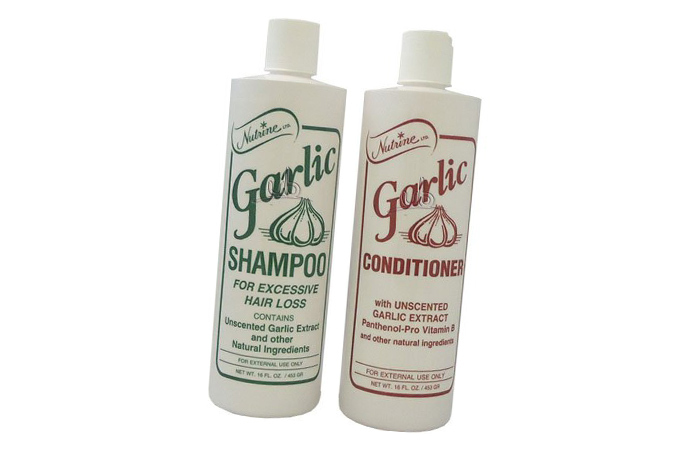 Nutrine’s garlic shampoo has been specifically formulated for treating hair loss. It contains unscented garlic extract and other natural ingredients that work together to curb hair loss. There is also a scented version of this shampoo that smells like garlic, whereas the unscented one has a strong floral scent. This shampoo effectively cleans your hair while also curbing hair fall and stimulating hair regrowth. 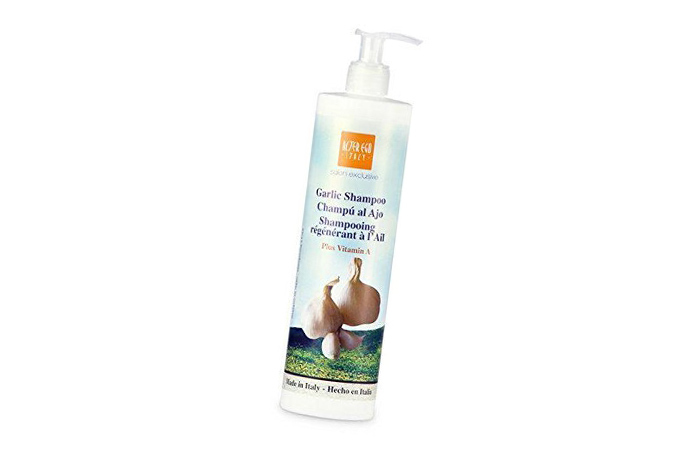 It is particularly efficient when used in combination with Nutrine’s Garlic Conditioner. 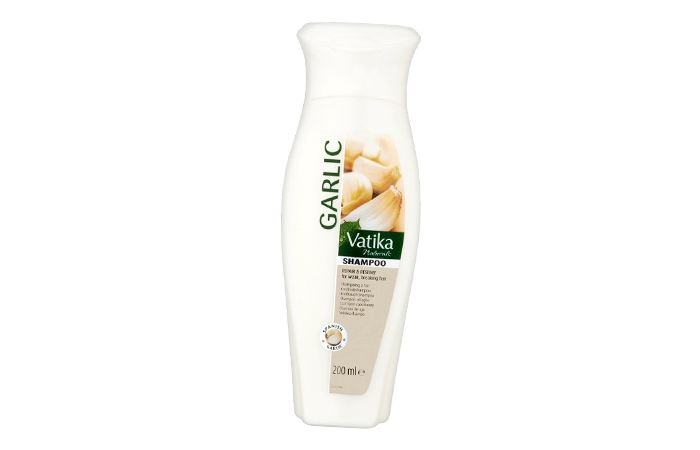 Vatika’s Garlic Shampoo contains the goodness of garlic which helps promote healthy hair growth. Its unique formulation of garlic and other ingredients helps strengthen the hair shaft, controlling hair fall and breakage. It also adds shine and smoothness. 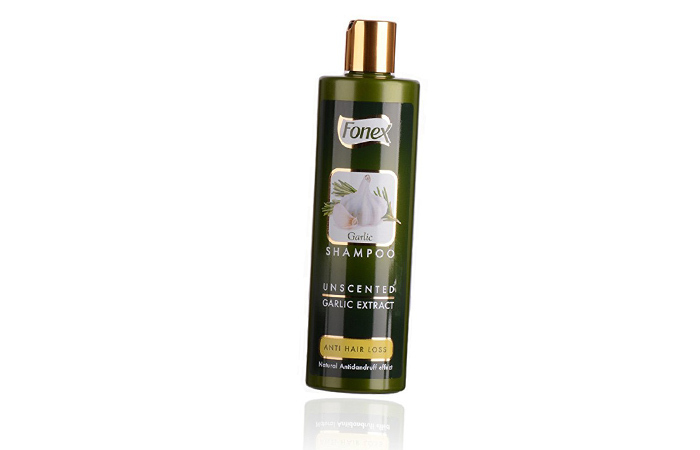 This garlic shampoo also contains anti-toxins which help clean your follicles, promoting natural growth. This shampoo has been specially designed for hair that has been through chemical treatments like bleaching, perms, or coloring. It helps gently cleanse your hair while providing it with deep hydration and nourishment. It helps restore essential vitamins, mineral salts, and peptides to your hair. 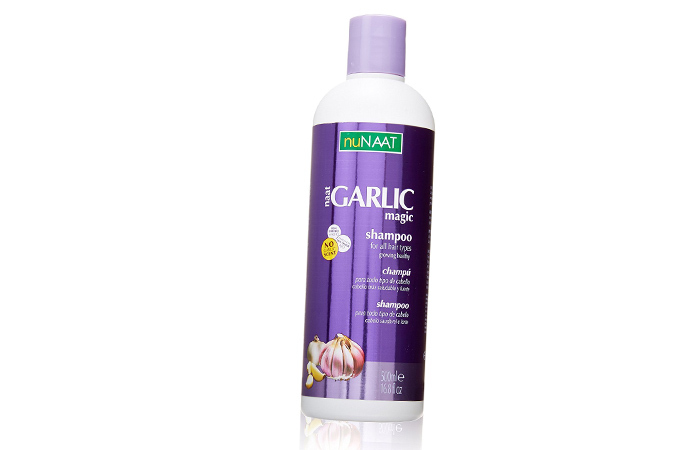 Nunaat’s Naat Garlic Magic shampoo is free of formaldehyde and sodium chloride. It helps strengthen your hair and follicles, keeping your hair shafts healthy. The shampoo also helps restore softness and shine to your hair. It is ideal for oily hair as the mild formulation can be used frequently to keep your hair grease-free. It also helps regenerate and strengthen hair fibers. Let’s start with the obvious—Garlic shampoo smells bad. That is unless you are buying a commercial shampoo that is “unscented.” While you might not react badly to the garlic, your scalp might react to the other ingredients in the shampoo. It takes a little bit of trial and error to find your right fit. However, if you have sensitive skin or have eczema, it is not advisable to use garlic shampoo as it might irritate your scalp and skin. 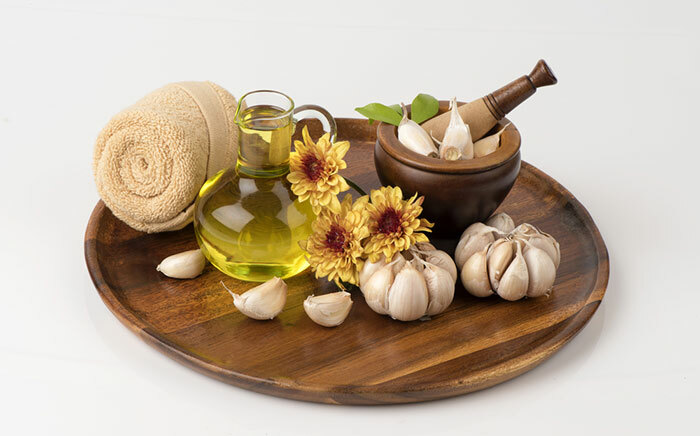 Garlic shampoo is one of the most renowned remedies for curing hair fall. If you’ve been having hair loss problems, using a homemade or store-bought garlic shampoo might help curb the issue. Have you ever used any of these garlic shampoos for hair loss? Tell us about your experience in the comments section below.